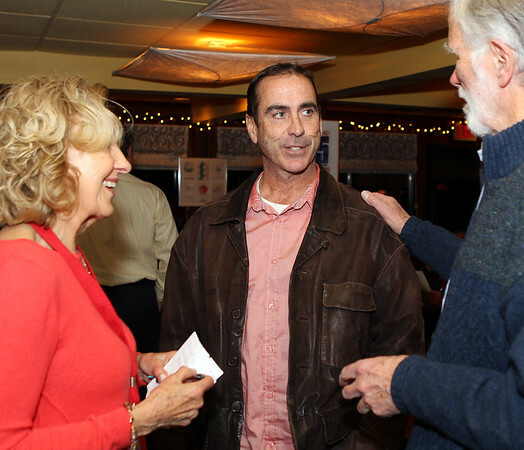 Bob King, a professor of Electronic Illustration at Salem State University, center, is greeted warmly by Marblehead Festival of the Arts President Bill Smalley, right, and Vice President Lucille Grant, left, at the Logo Premier Party held at The Landing in Marblehead on Tuesday evening. DAVID LE/Staff photo. 1/20/15.